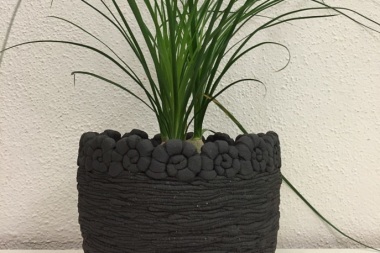 Pottery: Togheter you can create a unique vase. 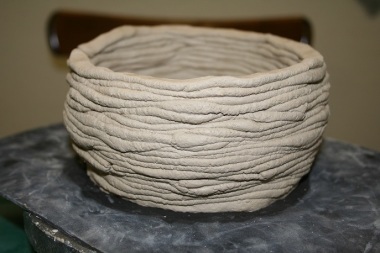 A very versatile technique in pottery is the coil method which, as the name suggests, uses thin clay rolls. 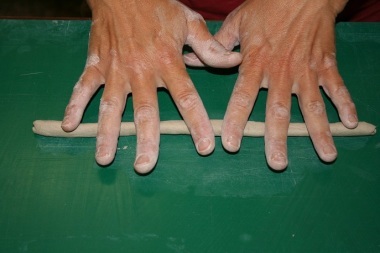 Firstly you shape thin rolls out of the clay which are then put together/on top of each other to form bowls, cups or other items. The base of the vase is cut out of a rolled out piece of clay and the thickness of the clay rolls depends on your own personal preference. Basically, though, thicker clay rolls are more suitable for larger items whereas thinner rolls look more decorative for smaller works. The thickness also determines the end weight. from CHF 70.00 / Pers. All materials (tools etc), workplaces, glaze (will be applied by the potter after the drying time), soft drinks, supervision by an experienced potter. Journey to and from the venue, any room costs (included in Benken SG), delivery of completed cups (possible at extra charge). Nothing in particular / a love of new things. Sensitive flooring can be covered at an extra charge. This team event can also be combined with a delicious fondue or barbecue. Casual clothing and shoes (not too new or smart! ).